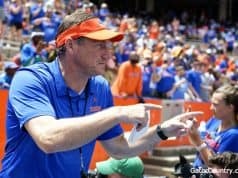 This spring the Florida Gators have dozens of prospects visit campus for either a spring practice or just to talk with the coaching staff. Last Sunday, the Gators hosted athlete Jaheim Bell (6-3, 208, Valdosta, GA. High) on campus and he got to talk with several of Florida’s coaches. Bell who plays multiple positions in high school says that the Gators have talked to him about playing on the offensive side of the ball in college. Tight ends coach Larry Scott showed Bell some film of how the Gators would use him on offense if he chooses Florida for college. 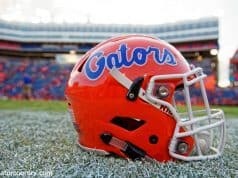 Head coach Dan Mullen also spoke with Bell last Sunday about the recruiting process and says the Gators want him in Gainesville. 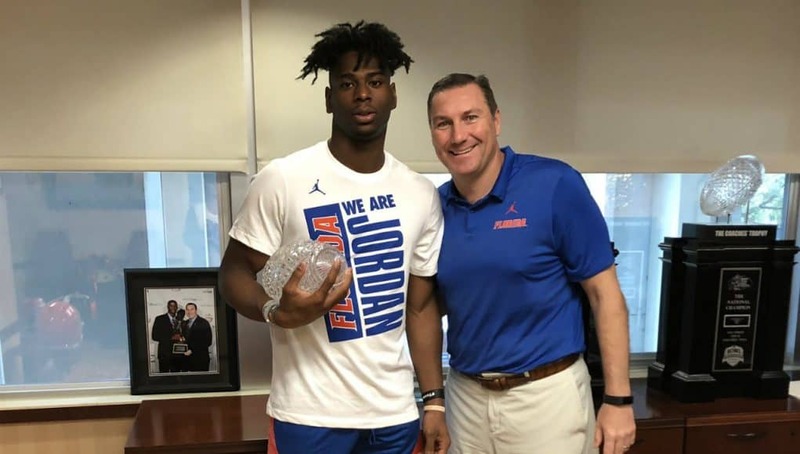 Shortly after Bell visited Gainesville, the athlete released his top 10 that included Florida and the athlete says it’s because of two things. 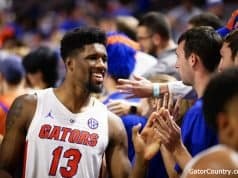 The Gators won’t have to wait long to get Bell back on campus as the athlete has already planned another trip to Gainesville. INSIDERS TAKE: Bell says he plans to visit Auburn on April 12th and after that he’s not sure of any other visits. Bell doesn’t have a timeline for a commitment right now.